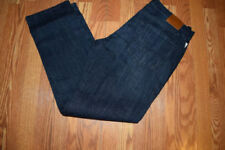 Made by Lucky, this pair of blue jeans is a great find! They are the 221 Original Straight style. They have a straight fit with a straight leg fit. They have a 5 pocket design. They have a button and zipper fly closure! Trending at $30.92eBay determines this price through a machine learned model of the product's sale prices within the last 90 days. Nice jeans worn washed a few times just got too small around the waist. Nice for summer because they are not thick and heavy a more thinner, softer, comfortable style. Shipping via usps priority mail. Condition is Pre-owned. Great preowned lightlydistressed wash style condition. Legopening 6.5” across. Backrise 13”. Colors: Pine Slope(Blue). 221 Original Straight. Straight Fit. 2% Elastane. 98% Cotton. Lucky Band 221orginal Straight. Condition is Pre-owned. Shipped with USPS Priority Mail. Leg Opening 8.5. 98% Cotton, 2% Spandex/Elastane. Across waist 19. Condition is Pre-owned. Good preowned distressed style condition condition. Leg opening8.25” across. These have a distressed wash and showing normal wear on bottom cuffs(see pics)! They are made of 98% cotton/2% elastane so they give and adjust for the perfect fit-worn and broken in, but plenty of life left in these jeans! Material: 94% Cotton, 4% Polyester, 2% Lycra. Color: Black. These jeans have a great style. These are new, without tags, never worn and in excellent condition. It's difficult to get a 100% accurate depiction of color due to different lighting conditions, and monitor settings. Twin Lakes Care Instructions. Tumble dry low. Straight leg. YKK Zip fly with button closure. Straight fit. 2% Spandex Sizing. Machine wash cold. 98% Cotton. 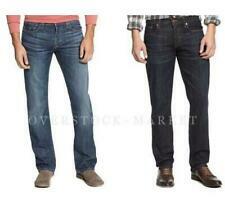 LUCKY BRAND MEN'S 221 ORIGINAL STRAIGHT JEANS 33 X 32. Condition is Pre-owned but perfect condition. No rips stains etc. I ship out the same day as paid. Jeans are in excellent pre-owned condition; no fraying at ends of legs. Fly-Zipper Fly. Shrink to Fit. Copper Rivets. GUC Men’s Distressed LUCKY BRAND Jeans Size 31 X 32 ORIGINAL STRAIGHT #221. Condition is Pre-owned. No rips or stains. Size : 33W X 31L. Don't miss it. Material: 99% Cotton/1% Spandex. Color: Dark Blue. Style: Straight. We reserve the right to relist an unpaid item. logo label in the back. Jeans are in Excellent condition, clean - no tears or stains. Hems show no wear. See pictures provided. 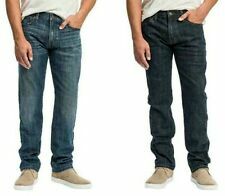 Lucky Brand Men's 221 Straight Leg Jeans PANTS Pine Slope-Delmont Variety NWOT!! There are no stains on these jeans. Any omission or error is not intentional. Leg Opening 8. 98% Cotton, 2% Spandex/Elastane. Across waist 18. 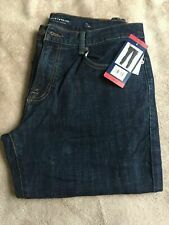 Lucky Brand Men’s Jeans 221 Original Straight Size 40x32. The rise is 12”. These are medium blue in color with line designs down both front legs. The front side pocket was made to have the destroyed hole look. These are in great condition. Please pay within 3 days or contact me to set up arrangements of when you plan to pay for this item. If no payment is made and no communication has been sent then I have no choice but to open a non payment case. NO INTERNATIONAL SHIPPING Items are typically sent out within 24 hours of payment received. Weekend or holiday purchases may be delayed until the post office reopens. Trending at $25.95eBay determines this price through a machine learned model of the product's sale prices within the last 90 days. 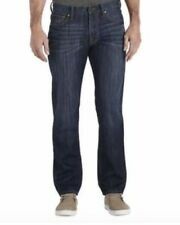 Up For Bids is a Nice pair of Mens ~Lucky Brand~ 221 Original Straight Zipper Fly Stretch Jeans Size 33x32.They are Pre-owned and are in Excellent condition.They are a medium blue wash in color. Waist:33" Rise:10.5" Inseam:32" Leg Opening:9.5" 99% Cotton 1% Spandex. When laid flat, they are 36x30. Rise 11", Leg opening 8.5". Zipper fly. Made from 100% cotton. Excellent condition. Condition 4/5 but fabric has a couple of defects. I try to described color as much as possible. I will always consider and try to make the best deal for you. 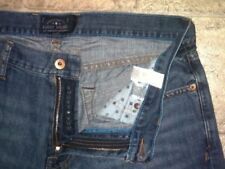 Men's NWOT Lucky Brand Jeans 34x30 221 Straight Fit Blue Faded Cotton blend. Shipped with USPS Priority Mail. 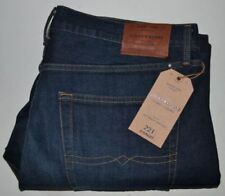 Mens Lucky Brand Jeans 221 Original Straight 32 x 30. Perfect condition. New w/o tags. Never worn. Shipped with USPS Priority Mail.